Situated between the Neris and Nemunas rivers, Kaunas is known for its old town, which, though smaller than the capital's, is in much better condition. Kick off your visit on the 15th (Mon): take in the architecture and atmosphere at St. Gertrude's Church, pause for some serene contemplation at Cathedral of St. Peter and St. Paul, and then get engrossed in the history at Rumsiskes Open-Air Museum. To see other places to visit, reviews, traveler tips, and tourist information, refer to the Kaunas sightseeing planner. Vilnius to Kaunas is an approximately 1.5-hour train. You can also drive; or take a bus. In August, plan for daily highs up to 26°C, and evening lows to 15°C. Wrap up your sightseeing on the 15th (Mon) early enough to travel to Silute. Šilutė is a city in the south of the Klaipėda County, Lithuania. On the 16th (Tue), contemplate the waterfront views at Nemunas River Delta Regional Park. For reviews, maps, more things to do, and more tourist information, use the Silute holiday planner. Explore your travel options from Kaunas to Silute with the Route module. In August, daytime highs in Silute are 26°C, while nighttime lows are 15°C. On the 16th (Tue), wrap the sightseeing up by early afternoon so you can travel to Siauliai. Šiauliai is the fourth largest city in Lithuania, with a population of 133,900. Start off your visit on the 17th (Wed): examine the collection at The Angel Museum, appreciate the history behind Sundial Square, then see the interesting displays at Ruta, and finally pause for some serene contemplation at Siauliai Saint Disciple Peter and Paul Cathedral. To see where to stay, reviews, traveler tips, and other tourist information, refer to the Siauliai trip generator. The Route module can help you plan travel from Silute to Siauliai. August in Siauliai sees daily highs of 26°C and lows of 15°C at night. Finish your sightseeing early on the 17th (Wed) to allow enough time to drive to Panevezys County. Panevėžys County is one of ten counties in Lithuania. Start off your visit on the 18th (Thu): get outside with Senvage. 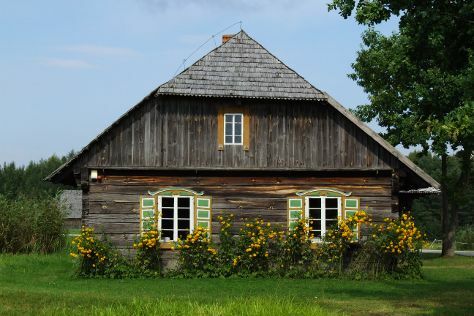 For photos, maps, traveler tips, and more tourist information, read our Panevezys County itinerary maker. Traveling by taxi from Siauliai to Panevezys County takes 2 hours. Alternatively, you can take a train; or take a bus. In August, daily temperatures in Panevezys County can reach 26°C, while at night they dip to 15°C. Cap off your sightseeing on the 18th (Thu) early enough to go by car back home.